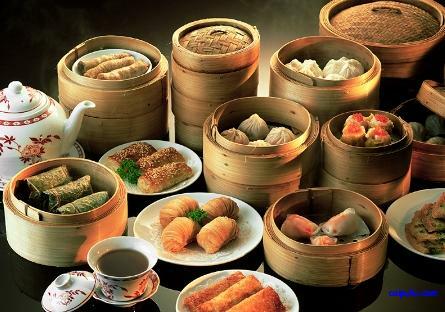 Yum cha is a term in Cantonese which means "drinking tea". It now refers to the dining experience of eating small servings of different foods like dim sum, while sipping Chinese tea. 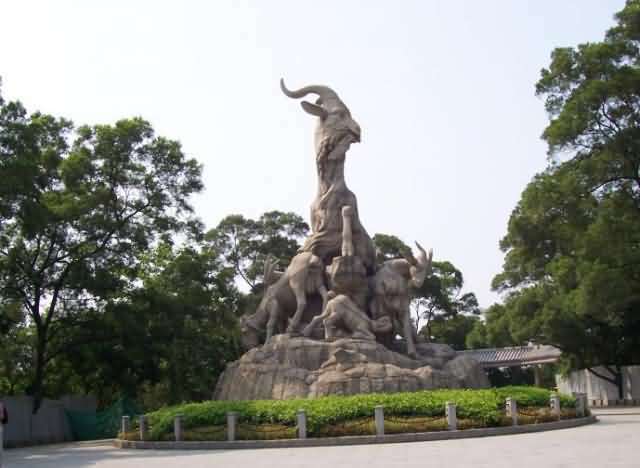 It is an integral part of the culinary culture of Guangdong Province. 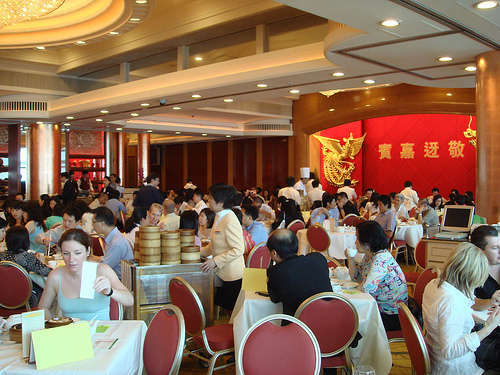 Yum cha is a tradition on weekend mornings for the locals, and it is an opportunity for families gathers to chat and eat dim sum and drink Chinese tea. Yum cha is also a morning ritual for the elderly to spend a good part of the morning after early morning exercise of tai chi or a walk. The tea is important, for it is said to help digest the rich foods. In the past, people went to a teahouse to yum cha, but now people yum cha mostly at a Dim sum restaurant. 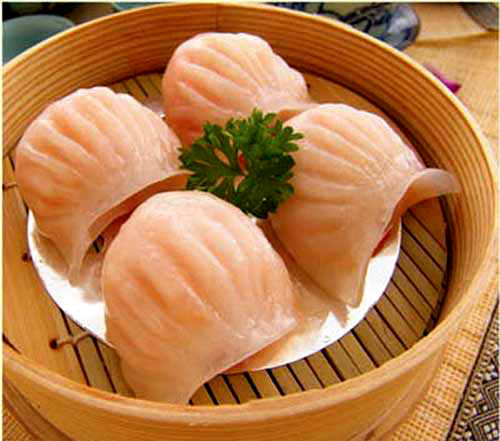 There are some traditional dim-sums in tea houses and Cantonese restaurants which are the must-eat dim-sums in Yum cha. 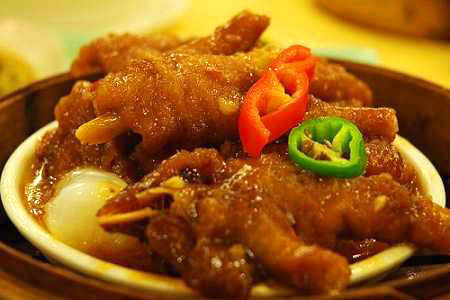 Shrimp dumplings, Chicken Feet, small steamed dumplings, steamed pork dumplings, and steamed vermicelli roll are popular in the traditional Cantonese restaurants. 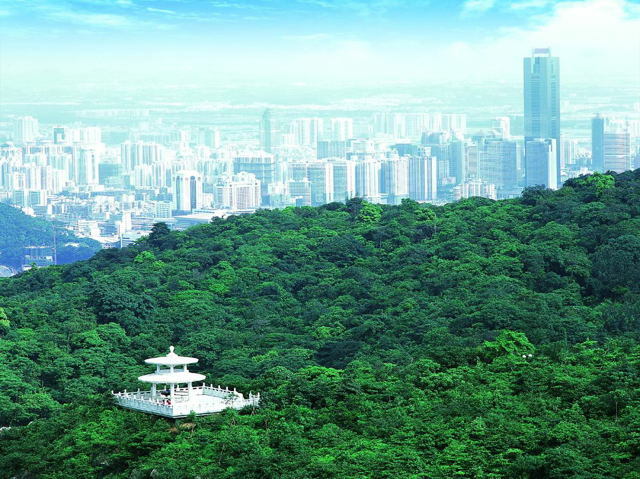 The most popular Yum cha restaurants are Guangzhou restaurant, Lin Heung Tea House, Taotaoju Restaurant, Xingyunlou Restaurant, Daoxiang Restaurant, and Datong Restaurant.